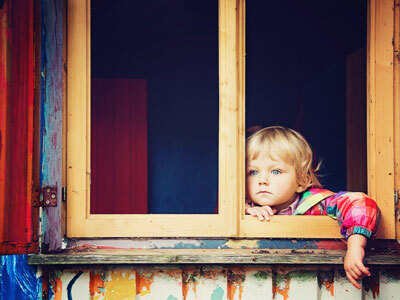 The art of mindfulness is a great way to reduce anxiety and stress for children of all ages. In particular, a unique breathing exercise called “balloon breath” can help your child calm down. 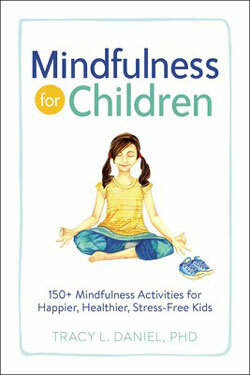 Tracey Daniel, author of MINDFULNESS FOR CHILDREN, describes the steps involved in this mindfulness practice. All kids need to rein in their energy at one point or another. Instead of plopping them in front of a screen, try a breathing exercise to shift from a high-energy activity to a quiet one. Balloon Breath is a great way to introduce children to deep, diaphragmatic breathing. It is a slow-paced exercise that produces a state of calm. Balloon Breath focuses on matching the length of the breath in to the length of the breath out. It is a good breathing exercise to use to begin and end a mindfulness practice. Balloon Breath relieves frustration and decreases excessive energy. It teaches children how to breathe from their diaphragm, which reduces anxiety and stress. It also reduces heart rate and blood pressure and draws awareness inward, which helps with focus. Let’s make some balloons with our breath. Sit or stand up tall. The taller you stand or sit, the better you breathe. The better you breathe, the better you feel. Breathe in through your nose as you sweep your hands wide, making a big balloon. Fill your belly up with air. Join your palms above your head. When you breathe out, pop your hands down to your heart center. Your belly should deflate just like a balloon. Practice a few times. Now make it fun by wiggling your hands back and forth on the out breath in a strong pop. Repeat ten times. Discover more breathing exercises by picking up a copy of MINDFULNESS FOR CHILDREN by Tracy Daniel. Excerpted from Mindfulness for Children by Tracy L. Daniel, PhD. Copyright © 2018 by Simon & Schuster, Inc. Used by permission of the publisher. All rights reserved.